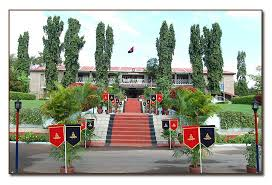 Govt of India (Ministy of Defence) Headquarters, Artillery Centre, Hyderabad, PIN-900398, C/O 56 APO invites application from eligible candidates for recruitment of LDC, Draughtsman and Multi Tasking Staff. Eligible Persons apply within 30 days from the date of publication in employment news (dated 20th Sep 2014). (1) Matric with +2 (12th Class) or equivalent qualification from a recognized Board or University. (2) Typing Speed - English typing @ 35 w.p.m on computer (OR) Hindi Typing @30.w.p.m. on computer (35 words per minute and 30 words per minute corresponding to 10500/900 KDPH on an average of 5 Key depressions for each word). (3) Caste Certificate issued by MRO/Tehsildar/competent civil authority. (1) Matriculation or equivalent qualification from a recognized university. (2) Diploma in Draughtsmanship from a recognized Institution/universities. How To Apply: Application form duly completed in all respects along with attested photo-copies of certificated and employment registration card if any, two self addressed envelope with requisite postal stamps should be sent to "The Commandant, Artillery Centre, Hyderabad-500031" on or before 19/10/2014. The envelope containing the application form is to be boldly enfaced on top with "POST APPLIED FOR"_____ at the case (post) may be in capital letters only.